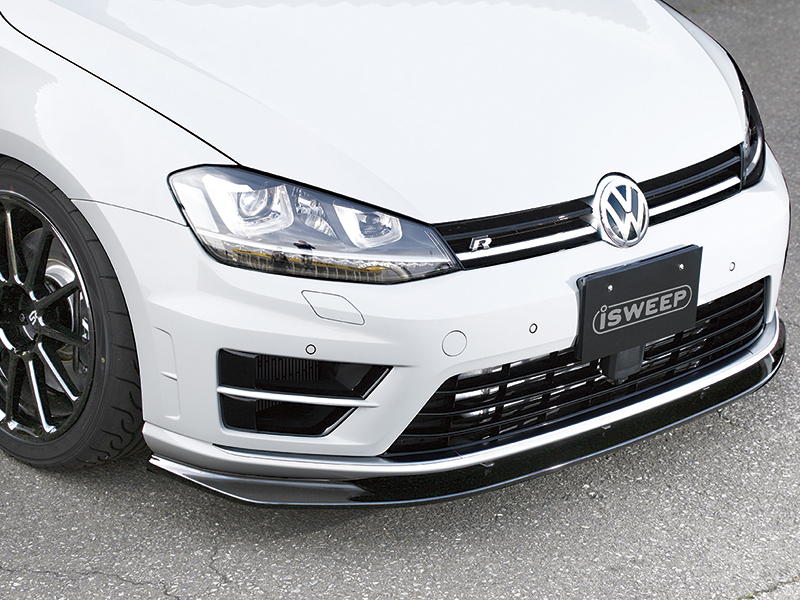 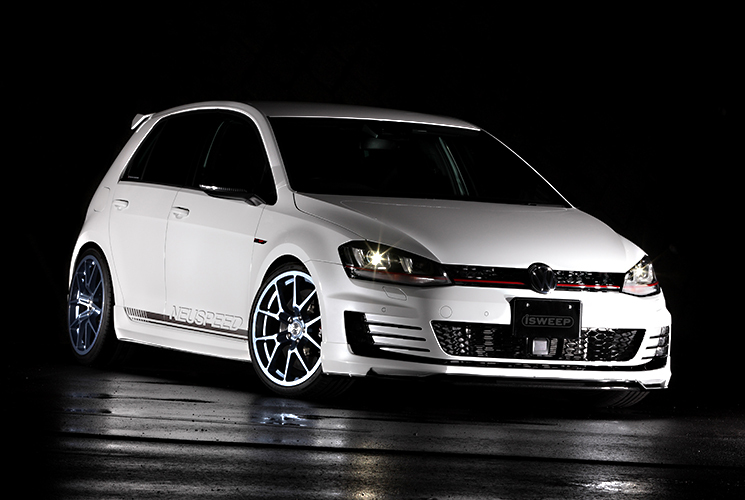 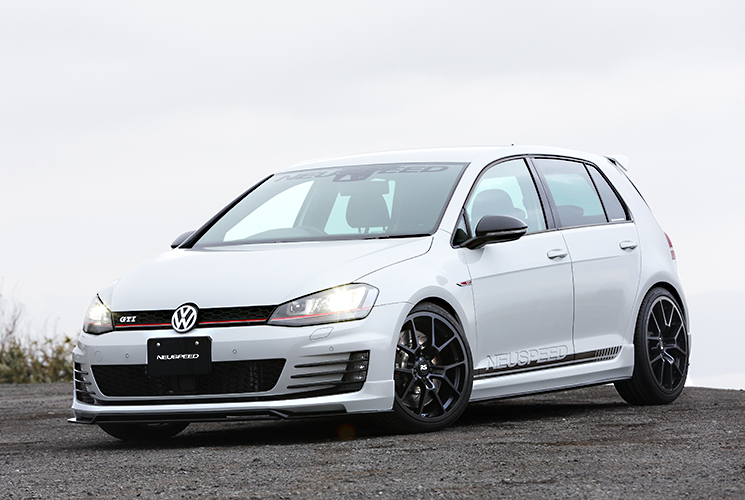 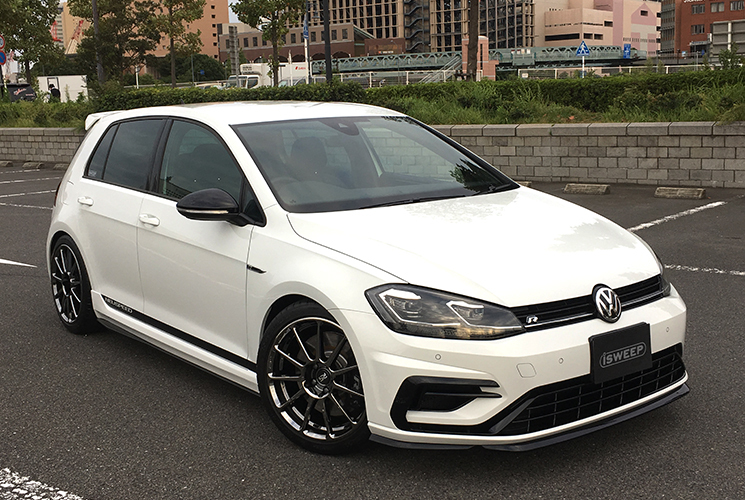 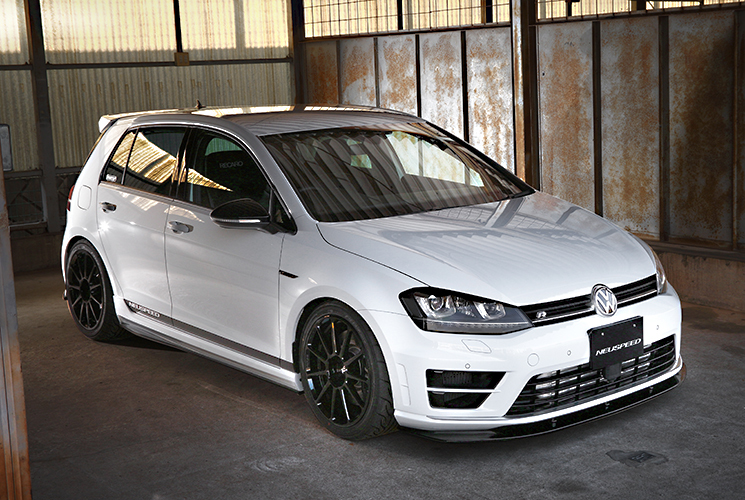 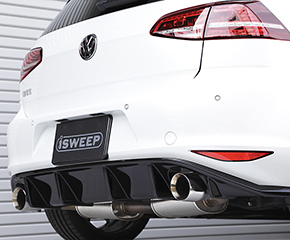 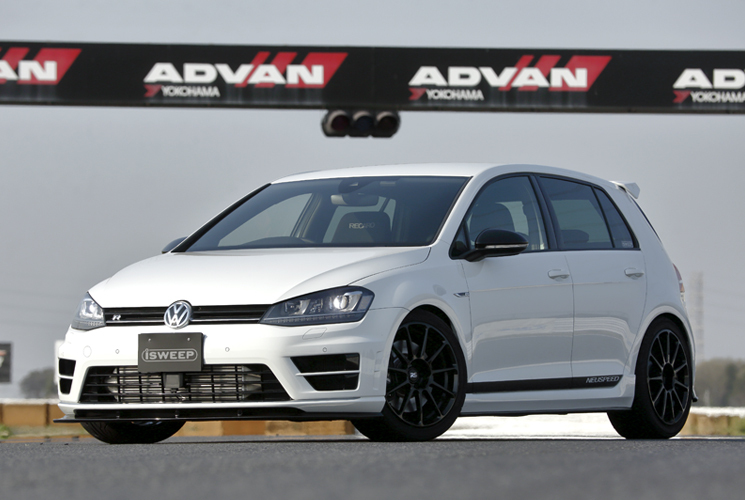 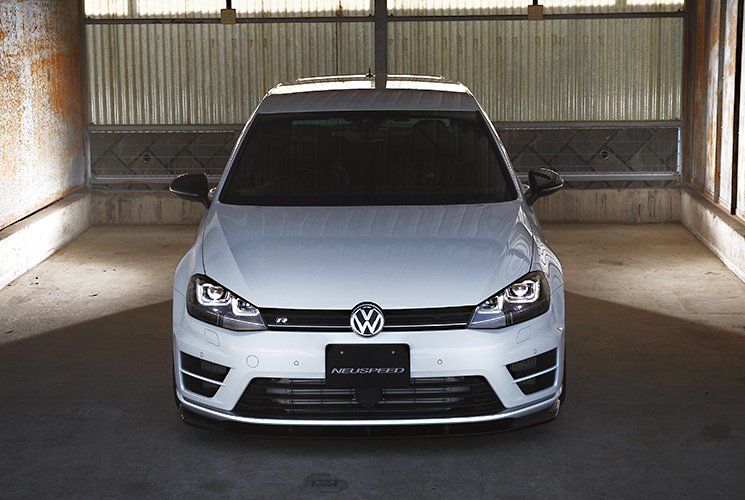 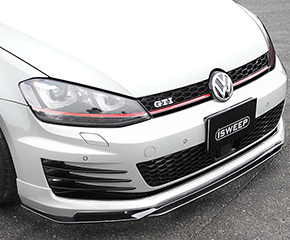 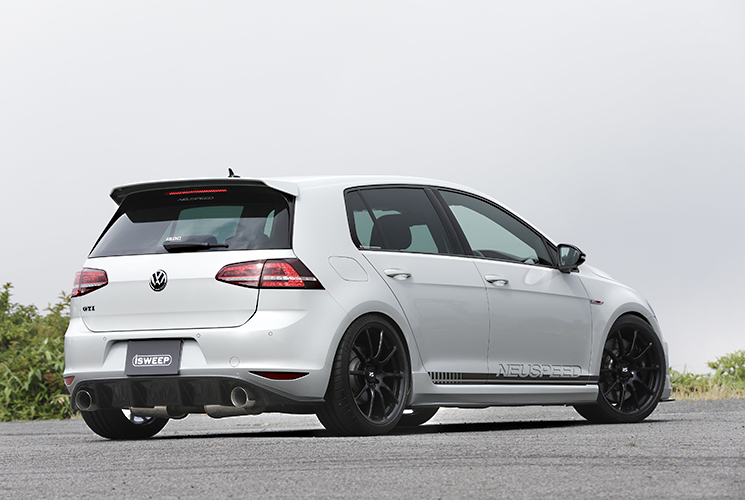 The iSweep Front lip Spoiler for the Golf 7.5R was designed to accentuate the sporty nature of the VW front fascia design. 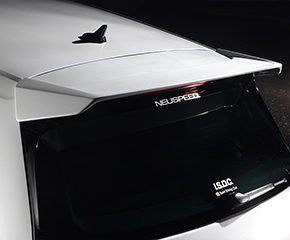 Made from FRP material, the spoiler was finished with a Gloss Black (Piano Black) surface. 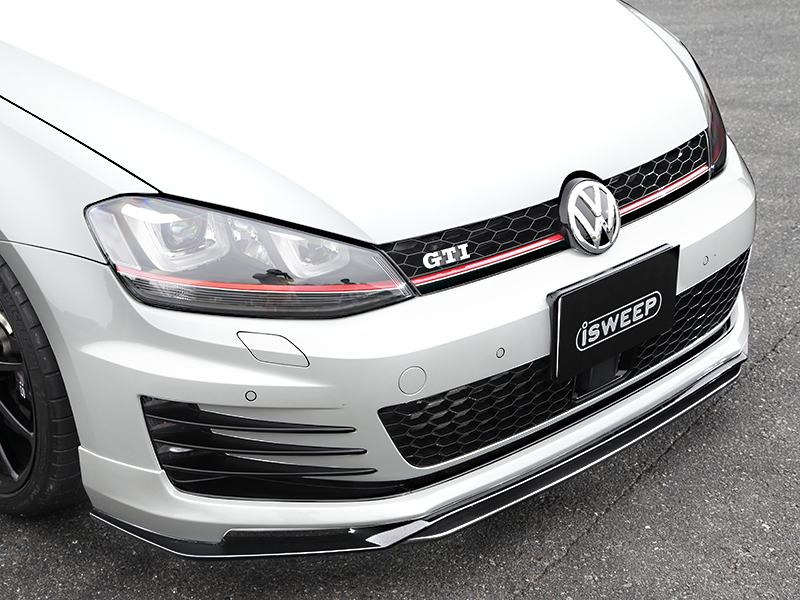 This provides a streamlined design to the original front bumper design, also can be installed as-is, without any paint applied. 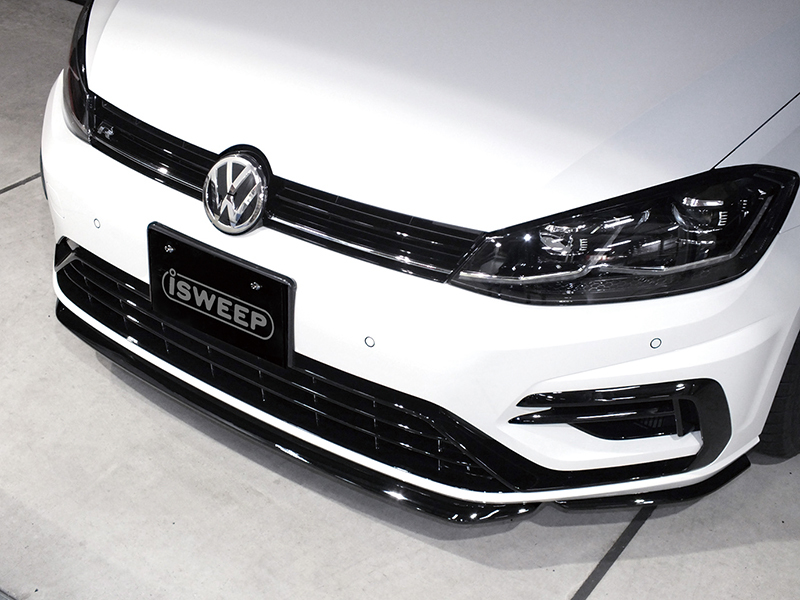 Enhances the factory body line to look leaner and more contoured to the waves. 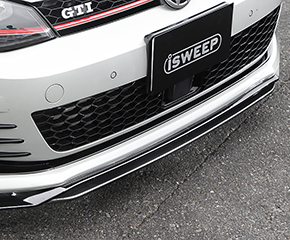 The Side Skirts are designed to flow well with the sharp edges of the front and rear bumpers. 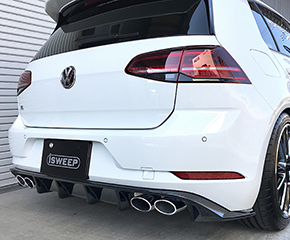 Molded as rear under skirt and diffuser in one, this enhanced design provides a much more deeper effect of the rear diffuser portion. 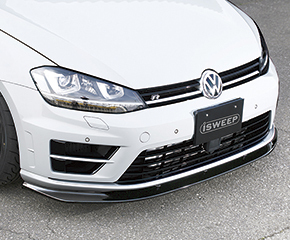 With this piece, the edgy front bumper renders smoothly to the rear of the vehicle. 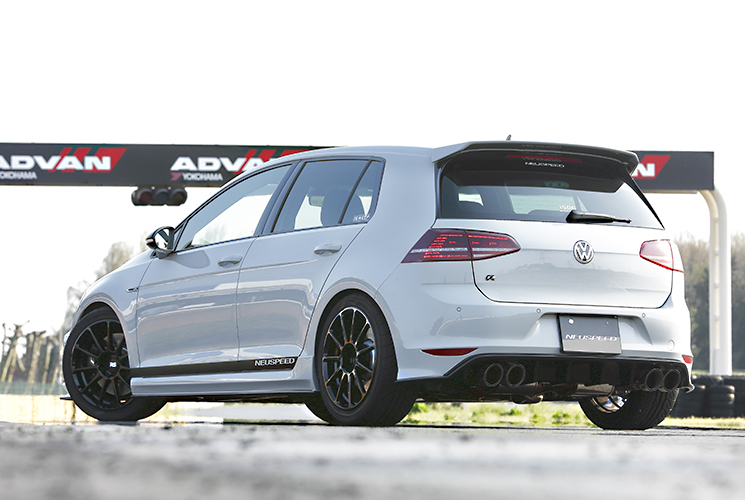 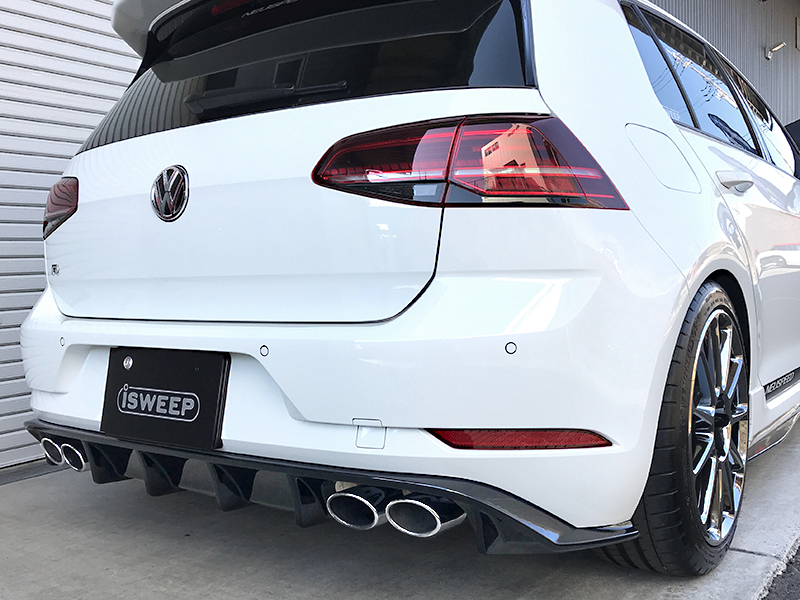 We designed the rear enhancement to pay homage to the DTM race series for the MK7.5 R. We carefully chose the fin structure, placement, and design to be very aggressive and racy. 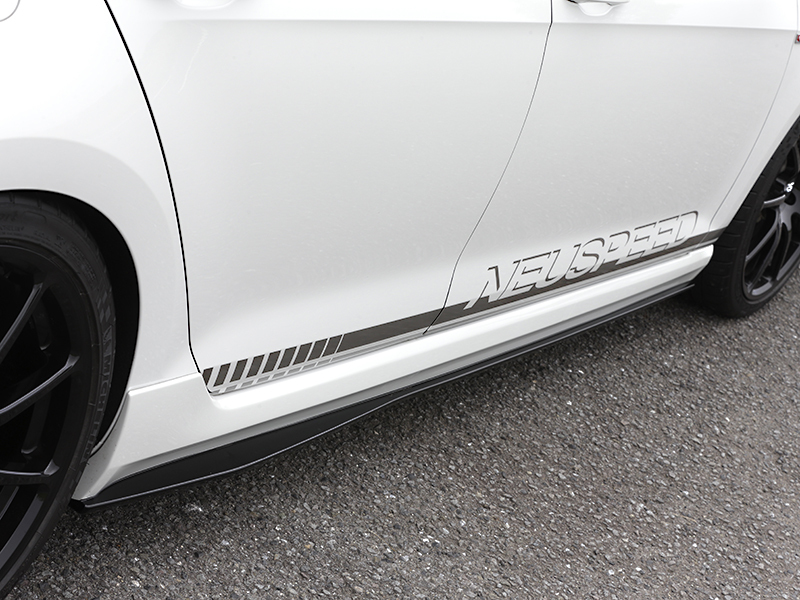 The fit and finish is top notch and completely bolt on by design. 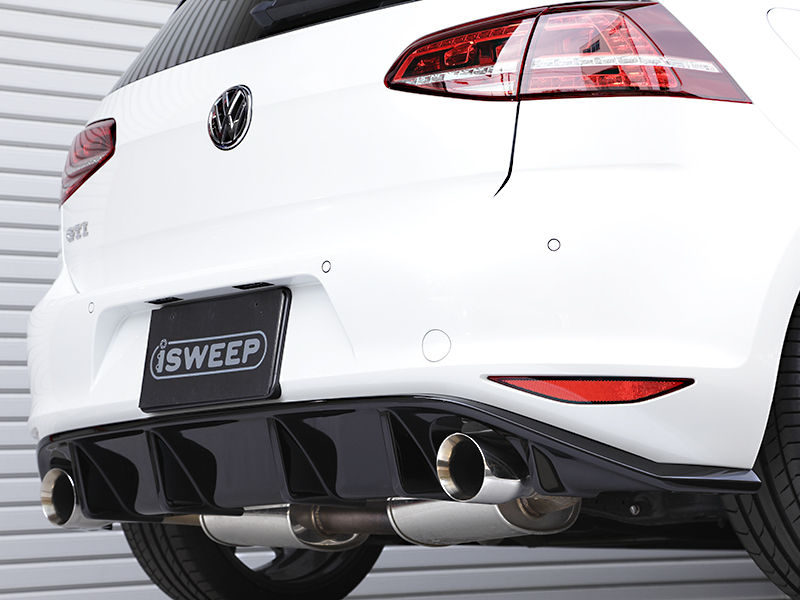 We designed the rear enhancement to pay homage to the DTM race series. 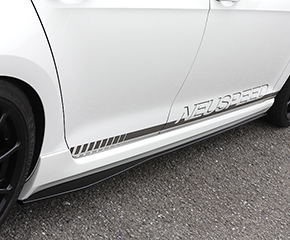 We carefully chose the fin structure, placement, and design to be very aggressive and racy. 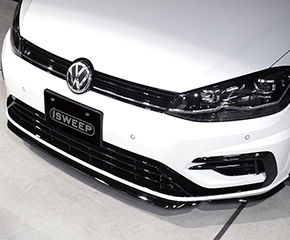 The fit and finish is top notch and completely bolt on by design. 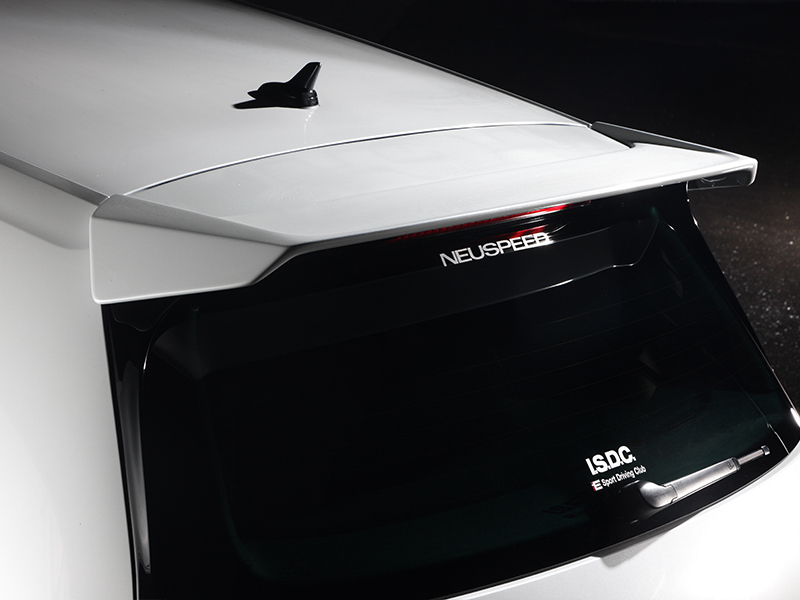 As an extention to the factory rear roof wing, this piece brings balance to the rest of the aero design. 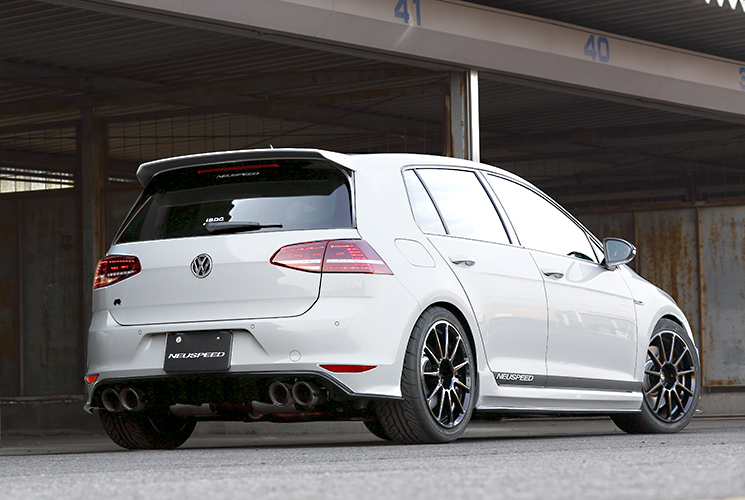 This immense, but subtle modification accentuates the roofline of the vehicle in a sophisticated manner.